« Pass on the Gift of Bike Safety for the Holidays! 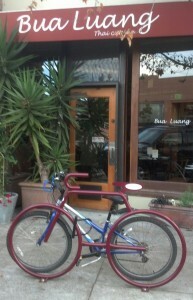 25 of these attractive and useful “Bike Bike Racks” around town and counting!! And YOU can help us get more! 2013’s donations by AS&R members Lynn Eve, Catherine, Jim, Len and David helped fund those great Bike Bike Racks you’re using around town now! 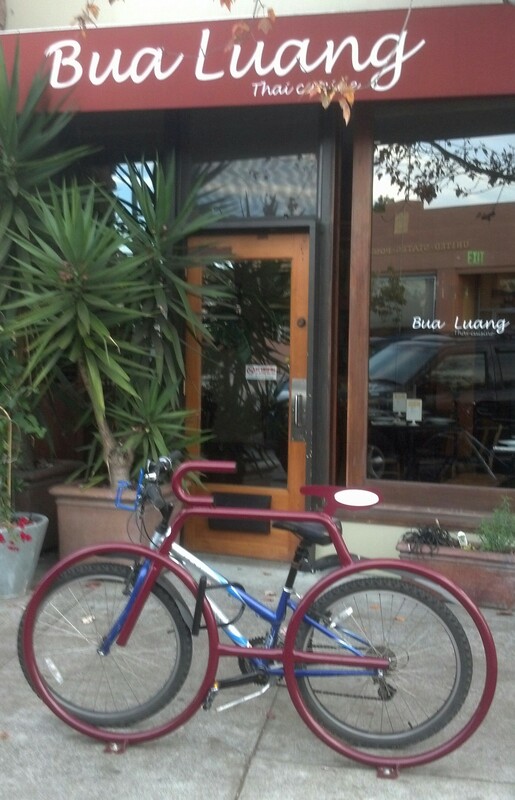 Do you like the Bike Bike Racks around town and want more? Are you thinking there are other ways Albany Strollers & Rollers (AS&R) could spend money to make cycling and walking safer and more enjoyable if AS&R were a bit better funded? Well, here’s an easy way to help, while getting tax benefits as well. 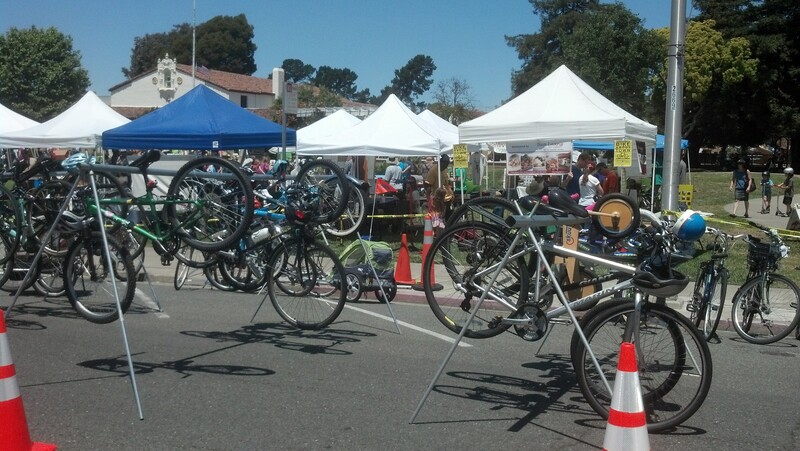 If you and/or your employer donate money to AS&R via our fiscal sponsor, Bike East Bay, it will go to important projects in Albany such as more bicycle parking where you and your neighbors needed it or more bike valet parking racks at local events. And yes, you and/or your employer will get a tax write-off if you make the donation through our fiscal sponsor by the end of the year! Busy busy busy! Our Bicycle Valet Parking service is so popular we could use more of these bike valet racks! The best way to do this is to write a check made out to “Bike East Bay for Albany Strollers & Rollers” and send to Harry Chomsky, Treasurer, Albany Strollers & Rollers, 1127 Curtis St, Albany, CA 94706. More questions? Email Amy Smolens at calamari@alumni.duke.edu or Harry Chomsky at harry@chomsky.net and we’ll get you going. And soon you’ll see the fruits of your donations right here in Albany! 1 comment to Donate to AS&R, Help Albany and Get a Tax Deduction! Thanks for your 2014 donations, Britt, Tom and Cyndi!! We appreciate it and we’ll all reap the rewards in 2015!